such as Suspend SC or Demize E.C. which will help to provide quick knockdown of adult fleas. 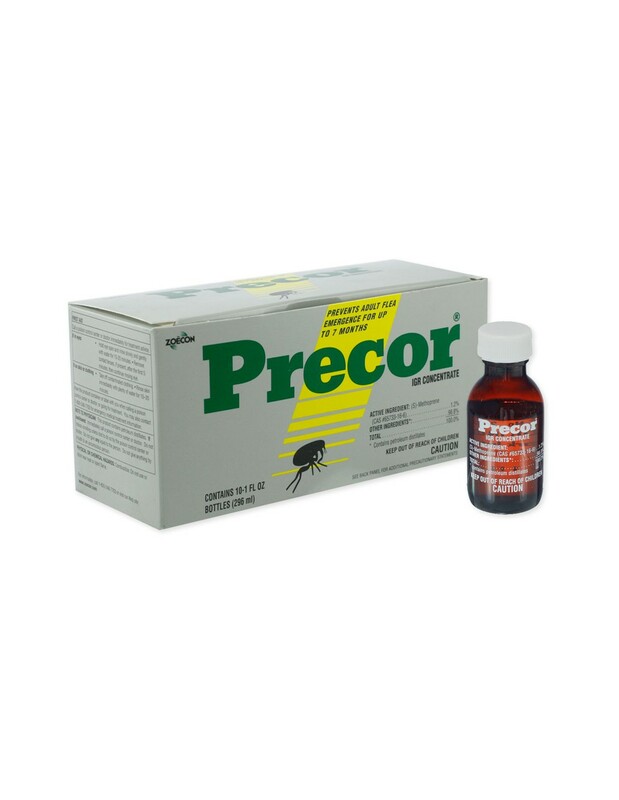 Only Precor Flea Growth Regulator IGR Concentrate's molecules move to the places pre-adult fleas live, like the base of carpet fibers and between furniture cushions - in short, the sources of a flea infestation. Precor IGR targets fleas in the egg and larval stages of development. As a result, pre-adult fleas cannot produce new infestations of breeding, biting adults. PREVENTS ADULT FLEA EMERGENCE FOR 7 MONTHS. 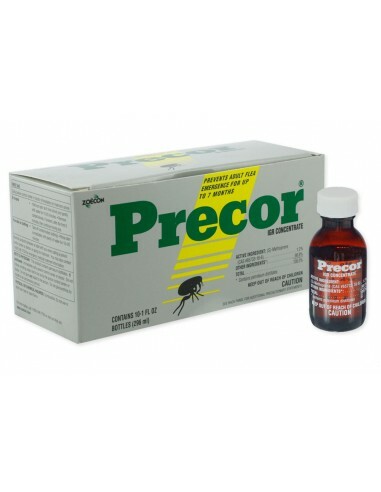 To prevent infestations before they start, apply PRECOR prior to flea season. For use in: indoor control only of pre-adult fleas - up to seven full months. Does not work outside in direct sun. Application: Apply at a rate of 1 oz per 1 gallon of the diluted spray solution per 1500 sq ft of surface area with any low pressure sprayer with a fan tip that is typically used for indoor applications. Yield: Kills flea eggs and larve for 7 months as long as carpet is not shampooed or steam cleaned. This means if a flea egg drops off of infected dog, flea egg will not develop. 3 year shelf life. PREVENTS ADULT FLEA EMERGENCE FOR 7 MONTHS.